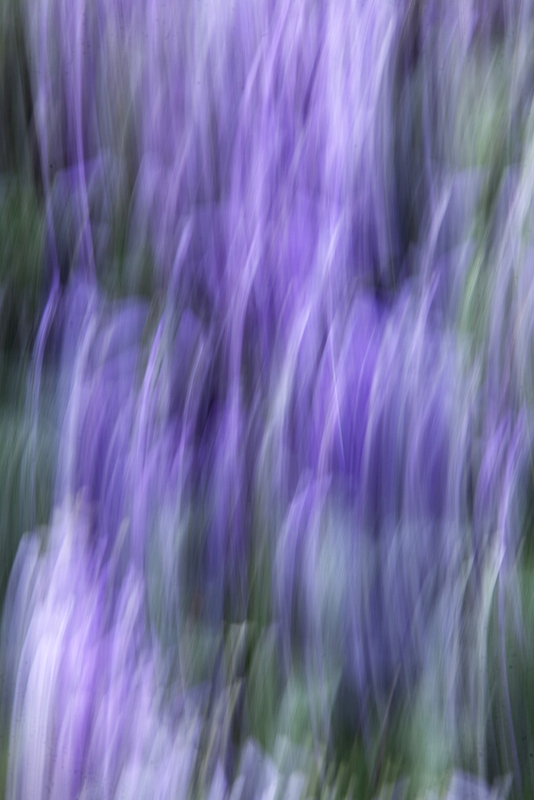 Sometimes, particularly midday when the light is not ideal for garden photography, you can still have fun. 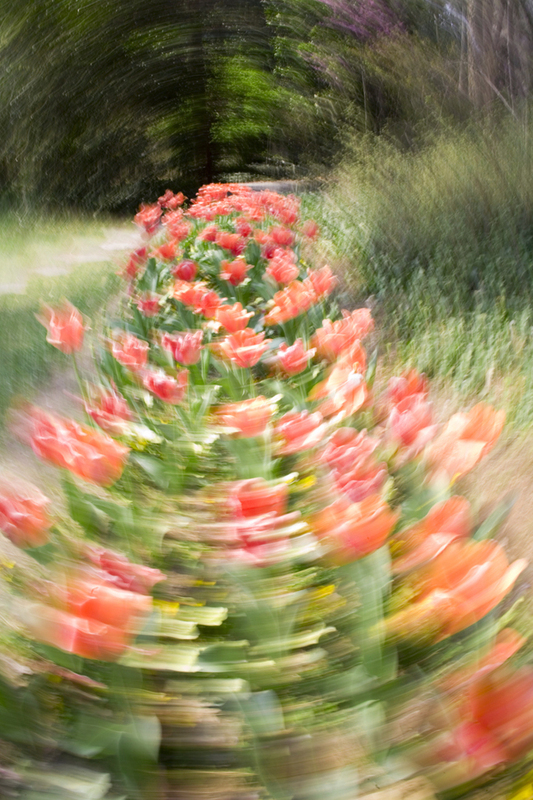 Find a dense patch of blooms and try some different movement techniques with your camera. It takes experimenting and not always predictable results, but you get some really neat images. This image was taken by moving the camera up and down during a 0.3 second exposure at f/13. I like to have some sharpness to start with as you are already blurring a great deal. 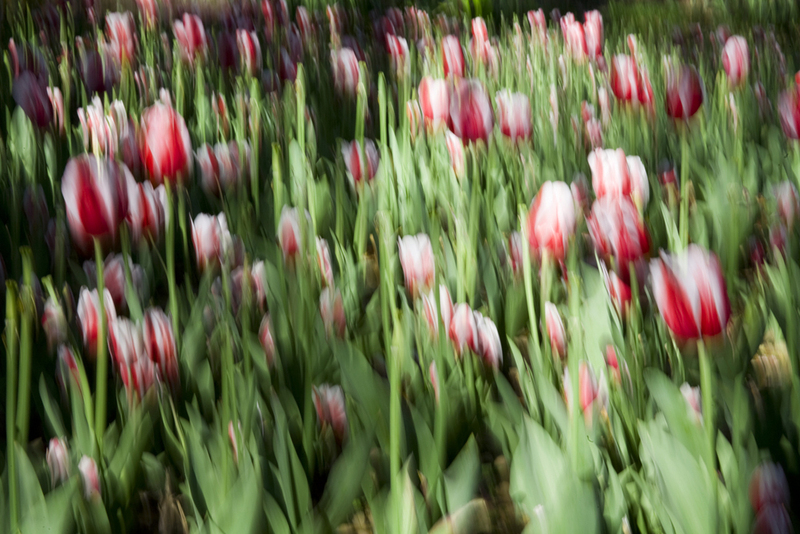 The next image of spinning tulips was taken with the camera on a tripod. . My lens had a collar which I loosened so I could easily rotate it during exposure. I started with a level shot and moved the lens left and then right during a 1/4 second exposure at f/22. If you have a neutral density filter, that helps get a good exposure at a slower shutter speed. The final example was taken at 1/10 second at f/29. Again on a tripod I simply move the camera slowly up during exposure. As you can see, this can be lots of fun and make good use of midday light. Look to avoid strong shadow areas as you might get a black blur in that area. Very bright highlights can also create a bright smear, so look for midtone images. Always something fun to do in the garden. Enjoyed looking at your photographs. I’ve taken some different pictures of sunflowers by placing one in the middle of the frame and then loosening the tripod mount and doing a 360 degree turn. That sounds like a good one.. endless ways to play in the garden. It was great to see you at the annual CNPA meeting this weekend.